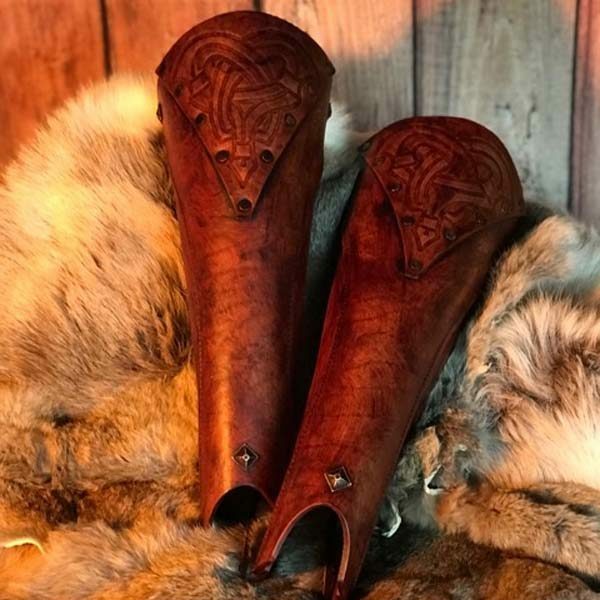 The Bjorn LARP Leather Greaves are one of the most unique designs to be offered by Black Raven Armoury , this has been professionally dyed and built for you by ourselves. Created & designed by Alex Agricola, the whole set is made of premium grade top grain 3.2-3.5 mm Veg Tanned leather. 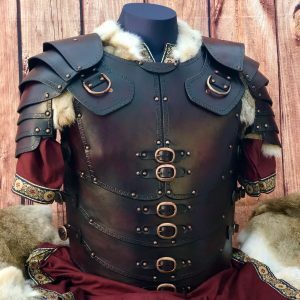 The Bjorn LARP Leather Greaves are designed to complete the Bjorn leather armour set, but they are also available as a stand alone accessory. Conceived and crafted by Alex Agricola these greaves are as sturdy as they are striking. Made from premium grade top grain 3.2-3.5 mm Veg Tanned leather. They are hand cut before being water formed and hardened. Next, they are hand dyed and embossed before the signature Black Raven Armoury Battle hardened look is applied to finish. 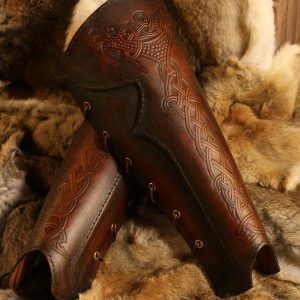 The Bjorn Larp Leather greaves are great for anyone who wants comfortable yet functional leg protection for larping, battle re-enactment, theatre productions or film work. 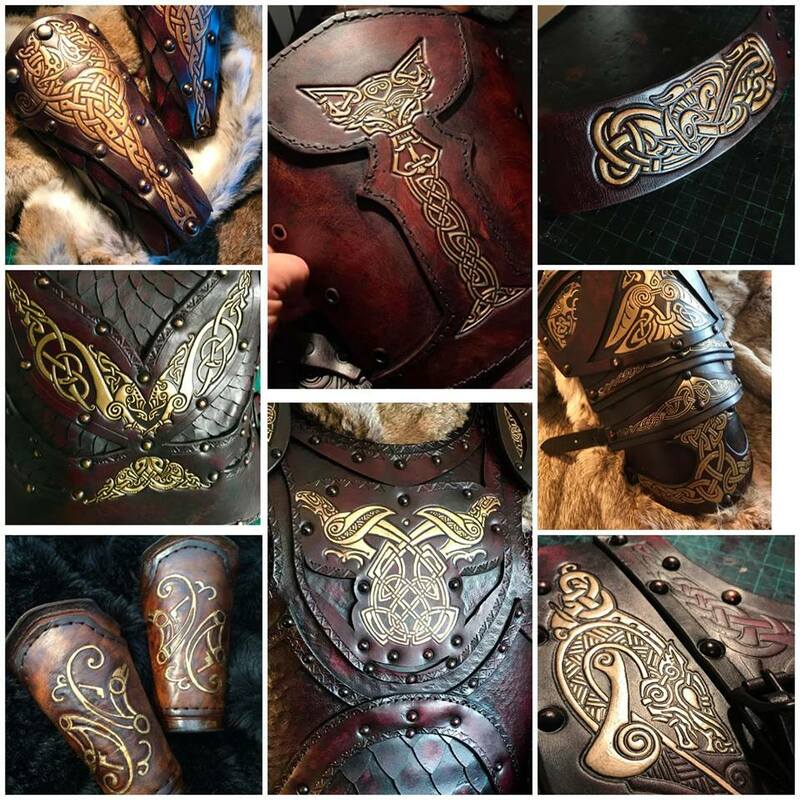 All armours come ready built and finished in the colour of your choice, apart from the un-dyed natural version available on request, which is left for you to stain and finish, in your own choice of colour.